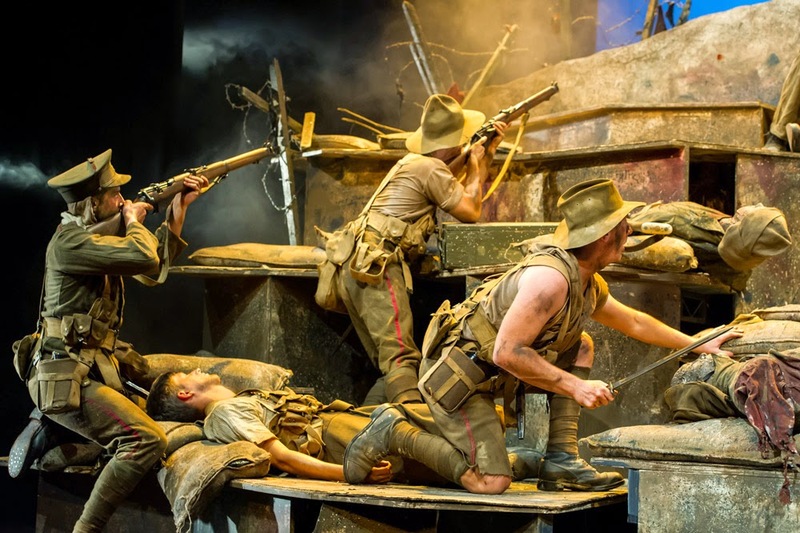 I think these pictures from Maurice Shadbolt’s play Once on Chunuk Bair really convey the look and feel of the 'Fernleaf' side of the fighting. Click on the pics to see them in their full glory. This particular performance of the well-known New Zealand play, which originally debuted in 1982, was put on by the Auckland Theatre Company last year. 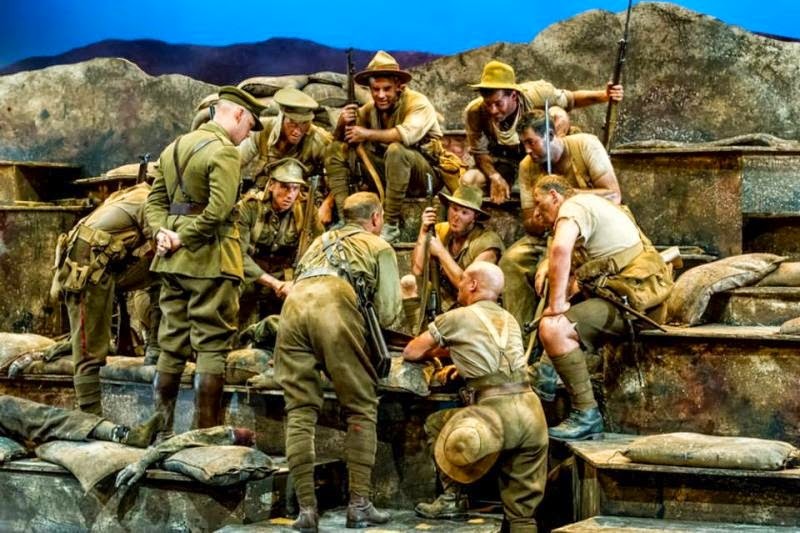 Twelve actors embraced the challenge of depicting that dreadful day in 1915 when the Wellington Battalion was fatefully tasked to take the strategic peak of Chunuk Bair. The costume designer seems to have had good reference information to work from. Whilst I'm no expert, it looks pretty authentic to me. Even down to the red welts that were a feature of New Zealand infantry trousers (I presume we've not been asked to paint these due to the invisibility at our scale). This play is being put on in at least to places this year - Hamilton and Porirua.